We recently moved into a new house, and since then we've had boxes lying all around the basement. 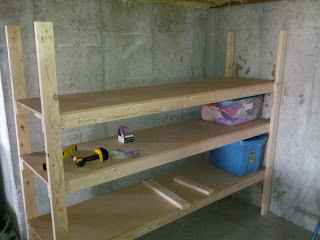 It was time to do something about it, so I build some nice sturdy shelves to store all our stuff. I looked around at quite a bit of information on the internet trying to find a good example, but ultimately I couldn't find what I was looking for. 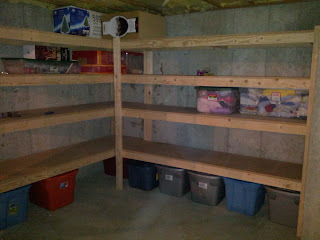 I ended up just winging it as I went along and luckily the shelves turned out pretty good. In total this ended up costing roughly $250-$300, and about two days worth of work. I built some shelves previously and used 1x2's instead and although it held everything, it just wasn't as strong as I wanted, so this time I used 2x4's. 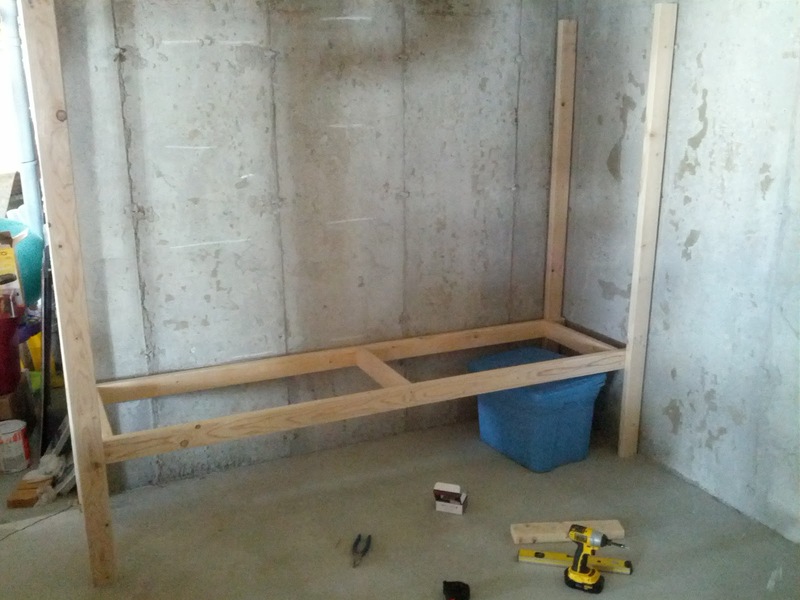 The process was actually fairly easy, and each of these shelves are 8 feet long, which works out nicely with the wood length. Here I am starting out. 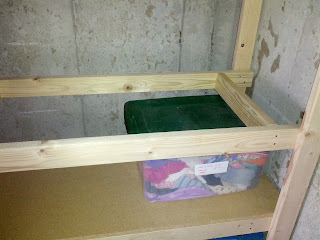 This step was the hardest because it is basically making the 'base' of the shelf. After this first shelf is together all the 2x4's are connected so they aren't able to move around anymore. 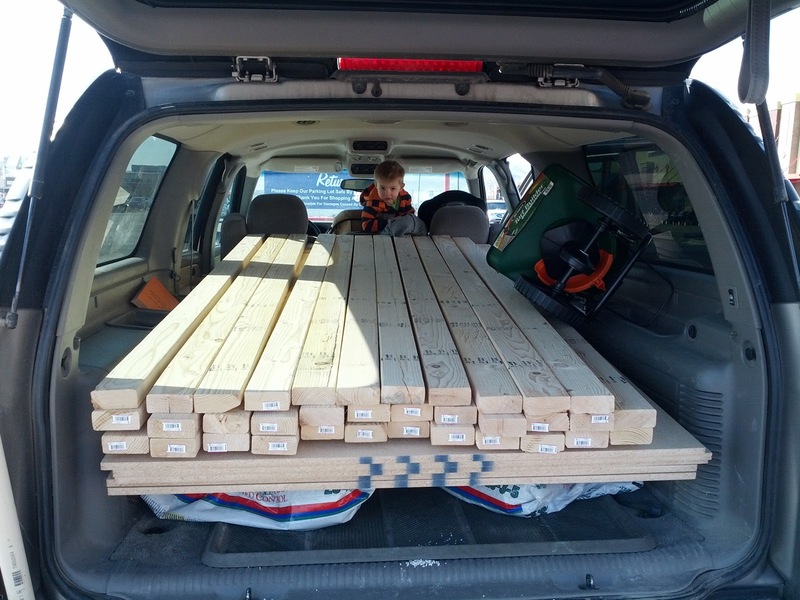 The basic design has the 4 vertical boards on the outside with two 2x4's horizontal, and 3 small pieces in between for support. 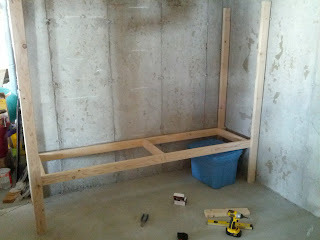 The space on the inside of the vertical 2x4's is 24 inches, and was perfect for cutting a 4' x 8' sheet of plywood in half. Here's a better shot of the frame. Once I had the basics down it went a lot quicker. The first shelf is almost complete. 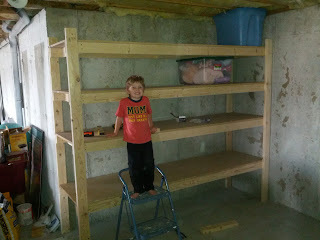 Here is the first completed section. It is very strong and can probably support several hundred pounds. 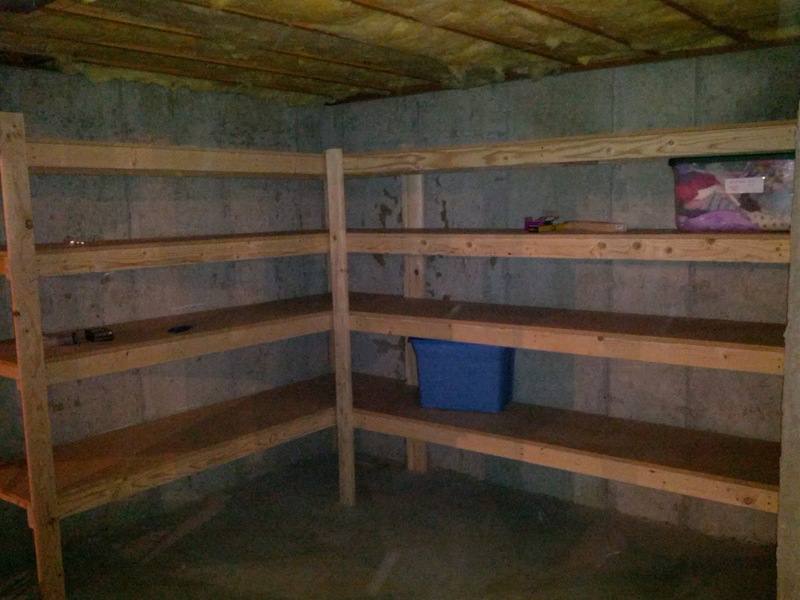 The next section went fairly quickly as well, and here is the completed shelves. 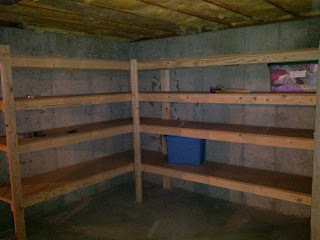 What I needed was a storage facility that made me feel that my stuff would be secured. What I got was a clean and well-run facility, that sense of security, also a friendly staff to make my comings and goings a pleasant experience. Some other self storage companies benefit from people who are unable to pay the rent for their storage unit by having auctions to sell their possessions. But this team is very nice, professional, and helpful. Our climate controlled units provide our clients with peace of mind that that their possessions will be protected. If you want to keep your accessories safe, use the services of the best storage units in Omaha.